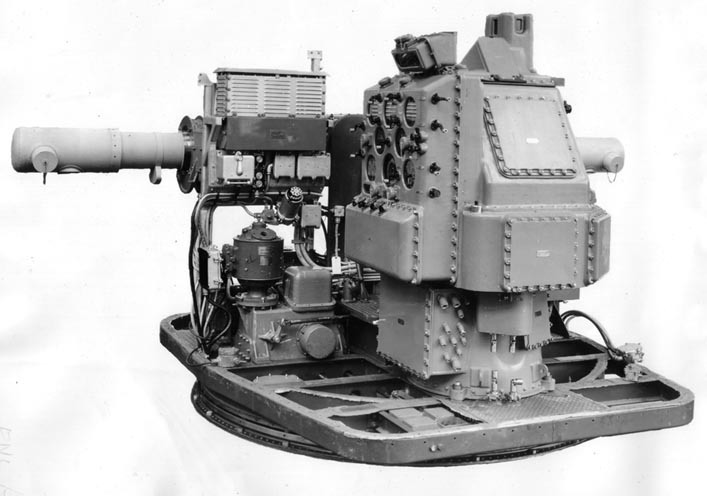 The Mk 19 Gun Director was a system that came about in the late 1930s for battleships (BB) and some armored cruisers (CA). It saw the optical range finder integrated dirctly into the director, an improvement from past systems that required inputting the slant range manually after voice transmission from a separate device in another location. 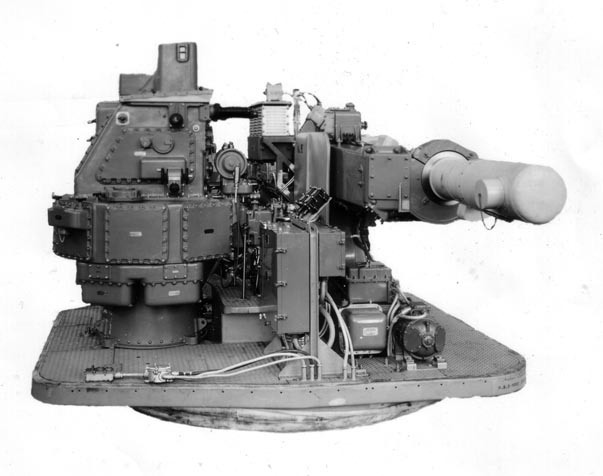 While mainly intended to provide firing solutions for the dual-purpose 5"/25 guns on battleships and cruisers of the time, it could also provide control to searchlights. Installations began at least by the summer of 1939 (Salt Lake City and West Virginia) and they were emplaced on all battleships of the Pacific fleet by the time of the attack on Pearl Harbor. 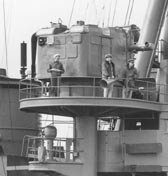 Mk 19 Mod 59 Gun Director from the Battleship BB-48 West Virginia Circa September 1939. There were three crew entry doors on this model, one on each side and one on the aft surface. 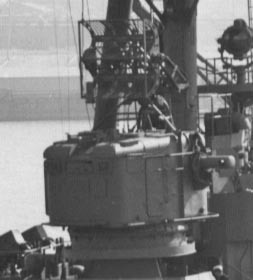 The arms sticking out from the sides are part of the optical range finder and had covers over the openings si8milar to the bloomers used on guns in service. 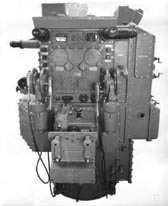 Mk 19 Mod 59 Gun Director from the Battleship BB-48 West Virginia Circa September 1939. Left side, with shell removed showing some of the inner workings of the director. Mk 19 Mod 53 Gun Director from the armored cruiser USS Salt Lake City CA-25 circa July 1939. Right front corner with the shell and part of the platform removed, showing more of the inner structure. Mk 19 Mod 53 Gun Director from the armored cruiser USS Salt Lake City CA-25 circa July 1939. Operators controls for the train and elevate stations on the rear side of the actual director. Mk 19 Gun Director on the Battleship BB-38 Pennsylvania circa March 1942, following repairs to damage incurred at the attack on Pearl Harbor. 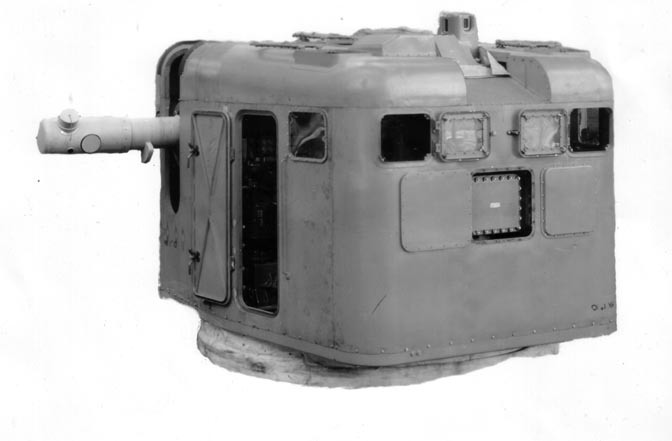 Note the addition of plexiglass windows on the forward corners and above the crew entry doors on this model of Mk 19. 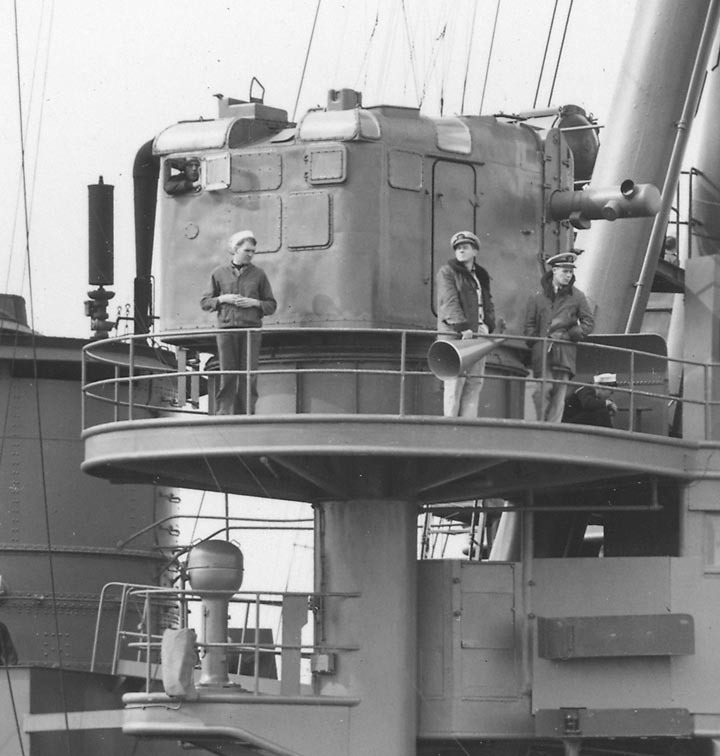 Mk 19 Gun Director in place on the aft tripod of armored cruiser USS Salt Lake City CA-25 in February 1941. Mk 19 Gun Director on the forward superstructure of the armored cruiser USS Salt Lake City CA-25 in May, 1943. 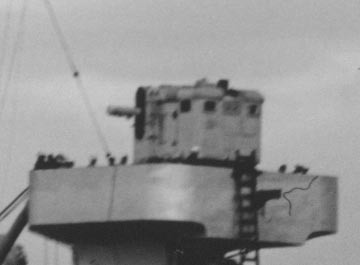 Note the addition of the Mk 4 or 12 radar and lack of extra windows seen on the Battleship Pennsylvania's 1942 Mk 19s.